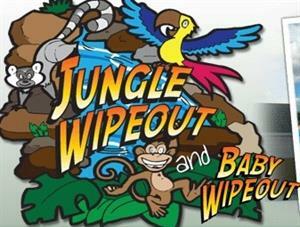 Jungle Wipeout is the latest addition to the fantastic range of things to do in Tynemouth Park. 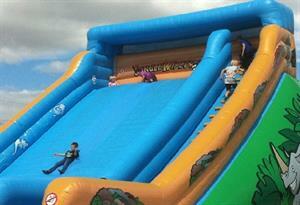 Kids 14 and under can have some active fun on the bouncy inflatables and there is an exclusive area for under 4s. 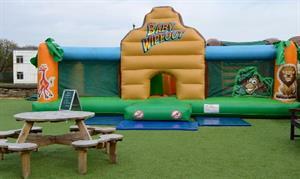 At £3.50 per child with unlimited restrictions on time, it really is a great value way of letting the kids have fun! Adults can grab a coffee and a cake from the nearby cafe and watch their children play in a safe and fun environment.